History surrounds Savannah, from memorable sights to significant landmarks. One thing that most people didn’t know is that there is a piece of Girl Scout history in the lovely city. The Juliette Gordon Low House, being the birthplace of the founder of the club, holds much history for Girl Scouts. We, here at the Presidents’ Quarters Inn, want you and your family to have the best experience while in the area. Here are a few things to know about the Juliette Gordon Low House! The birthplace of Juliette Gordon Low is owned and operated by Girls Scouts of the USA as a National Girl Scout Program Center and an historic house museum opened to the public! While in Savannah take time to wander through the beautiful home and learn how Low became one of the most significant American women of her time. As you learn about Juliette Gordon Low, sometimes referred to as Daisy, see the wonderful examples of her creative artwork throughout her family home. Low was an amazing woman, who gave girls of America the opportunity to have a career, participate in outdoor activities, and have fun! Low started her goal of Girl Scouts in 1911 when she met Sir Robert Baden-Powell, founder of the Boy Scouts and Girl Guides. Becoming very interested in the new youth movement, Low channeled all her considerable energies into the movement. Starting with only 18 girls, Girl Scouting has grown to nearly four million members. It is the largest educational organization for girls in the world and has influenced more than 50 million girls. This wonderful Museum is a great place to spend the afternoon. The Museum offers public tours for individuals and families! Click here to check out the times offered! 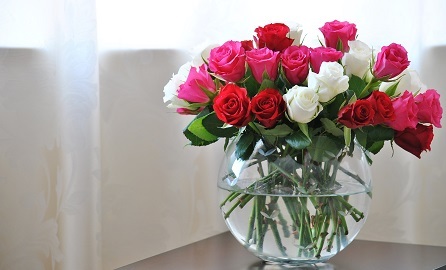 There is also an array of special events in which guests can participate. A guided tour of the Juliette Gordon Low House opens a world of wonder and excitement for everyone. Take a guided tour and be taken back in time. General admission for adults ages 18 and older is $10, registered Girl Scout Adults cost $9, Students ages 5 to 18 cost $9, Girl Scouts ages 5 to 18 cost $8, and children under 4 are free. The cost of private tours is based on the time of year as well as the number of people in your group. You must make reservations. 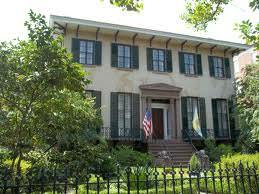 The Juliette Gordon Low House is definitely a top thing to do in Savannah. As you start planning your trip to the area, make sure you have the perfect place to stay. 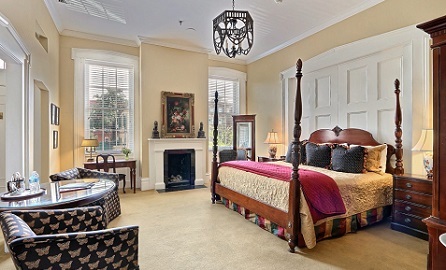 When you choose The Presidents’ Quarters Inn as your Savannah destination, you are locating you and your family in the heart of Savannah in one of the city’s most historic district. The President’s Quarters’ Inn offers a selection of lovely rooms and suites, which are all elegantly decorated to match the southern charm of the city. 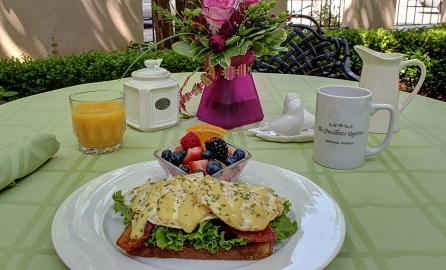 Before you head out to explore the Juliette Gordon Low House, the Inn will offer you a signature gourmet breakfast. Book your stay today to ensure you have a great time in the area! 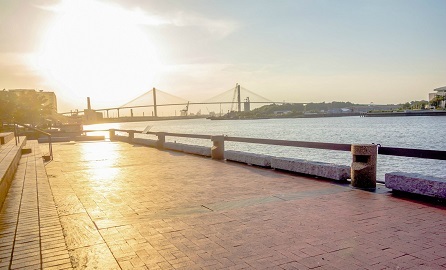 For more information on the best things to do in Savannah, GA, download our free vacation guide!